Jamie joined Foster in early 2014. With several years of experience in the SEO field, he brings a diverse background of technical and client-relation skills to Foster’s SEO team. Jamie attended James Madison University, where he received a B.A. in English literature and a minor in writing and rhetoric. On the winding road that led him to the field of search engine optimization—and, eventually, Foster Web Marketing—he worked as a sports journalist, wrote proposals for a government consulting agency, and managed data and client relationships at a law firm. From this array of experiences Jamie has learned that the most important skill in any environment is the ability to communicate efficiently and effectively. A Virginia native, Jamie loves the outdoors. 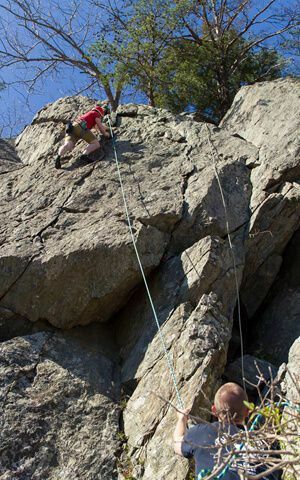 Whether it's rock climbing at Great Falls, camping on the Appalachian Trail, or skiing throughout the Mid-Atlantic, he’s always ready for adventure. Jamie also loves traveling the world with his wife Kim, reading all the books, and playing video games. Jamie brews his own beer and would love to share some with you. He also enjoys talking about books he’s read, books you should read, and is actively seeking new members for his “Beers and Books Club” (current membership: 1).